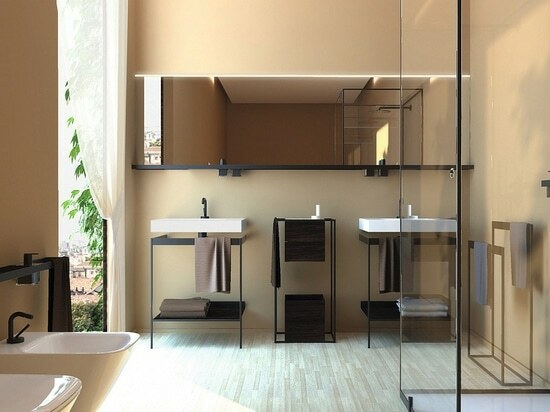 Bathrooms also are becoming incorporated into the actual master bedroom through the use of sliding doors and glass walls. 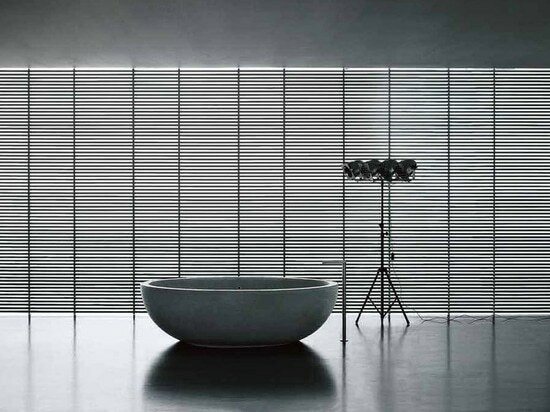 The emphasis on openness also is found in the trend towards streamlined bathrooms with linear drains and showers that are not cut off from the rest of the bathroom with walls or glass. Magnanelli says that the double vanity also is passé and is being replaced by big countertops that can accommodate two people at a time. “The washbasin is now almost as wide as the vanity,” he says. 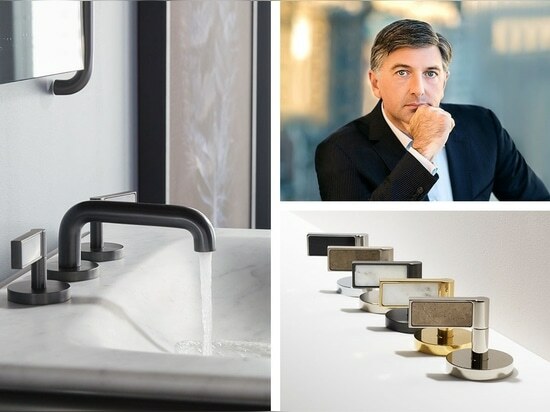 At the very high end of the market, many bathroom fixtures are custom made as is the case with those at the New York City’s new megadevelopment Hudson Yards, where architect Andre Kikoski designed everything from the medicine cabinet to vanities that include wood in their manufacture. 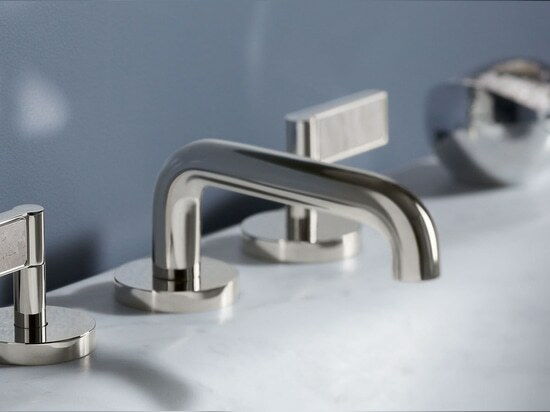 One of the only bathroom fixtures from the development that is commercially available are the faucet handles, which Kikoski designed One Decorative Collection for KALLISTA. 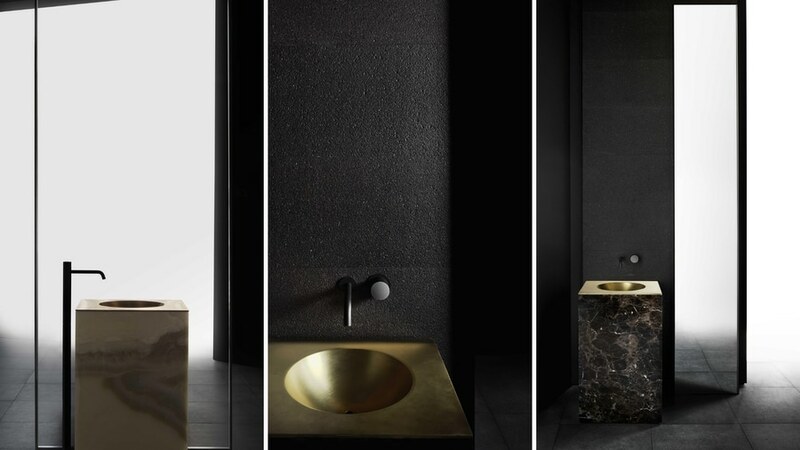 These faucet handles come embedded with different stones including the translucent Oro Cristallo, the same stone found in the apartment building’s lobby. 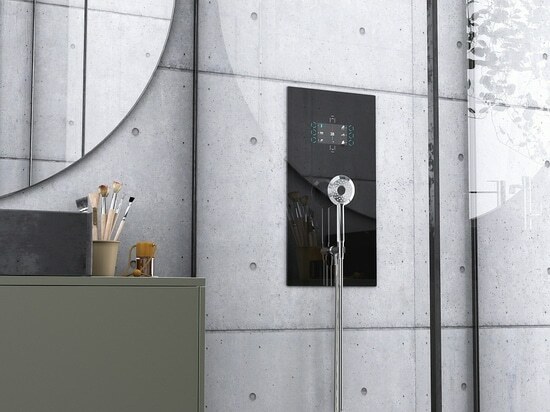 Bathroom fixtures are getting more luxurious. 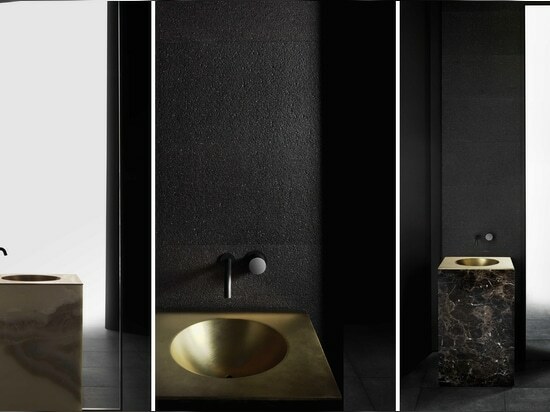 The stunning Boffi monolith washbasin by Piero Lissoni, carved from Emperador marble, which is available by special order, retails for up for up to $50,000. 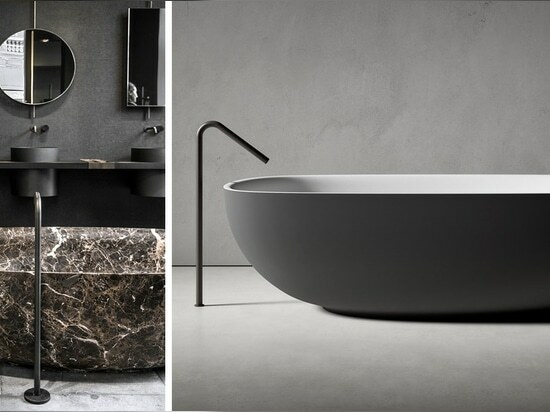 The company also has launched commercially available bathtubs and vanities made from new materials such as Cristaplant, a hundred percent recyclable material which looks like Corian but which is applied in an injection mold to achieve more creative shapes. Boffi also offers a series of metallic finishes in different colors manufactured by De Castelli. 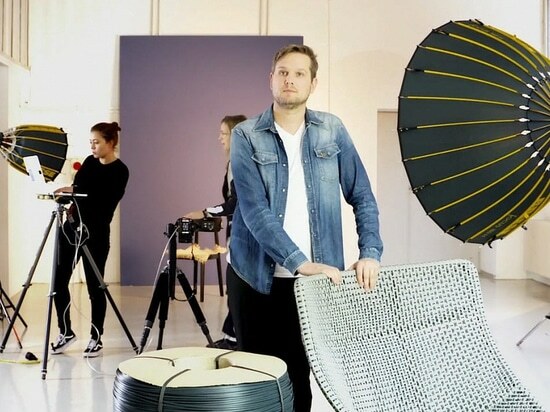 The metal is washed with chemicals which gives them a washed ethereal appearance. 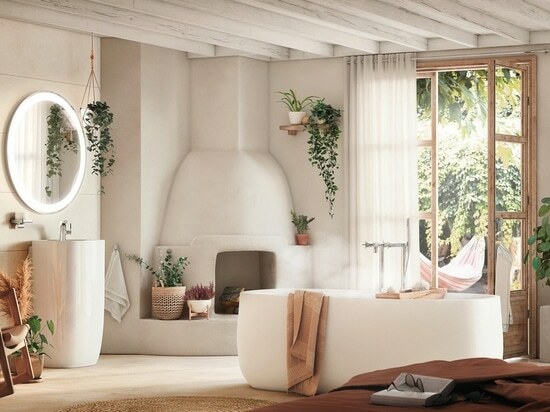 The new emphasis on the bathroom is very much oriented towards human wellness, a concept that is transforming the world of design.